In poultry production, litter, ammonia and salt come with the territory, but there is no cost effective way to dispose of spent litter. 2. Makes your litter much more desirable and profitable because it contains additional plant-available nitrogen. Developed by industry leaders Smith Creek Inc. and Monty’s Plant Food, Litterade is the result of nearly 60 years of combined research, experience, and industry knowledge. Monty’s activated humic substances, combined with a specially-formulated consortium of 100% natural microbes and enzymes, reinforces Smith Creek’s premium bedding’s ability to capture ammonia in the poultry house, sequestering the nitrogen then releasing it into the soil upon land application. 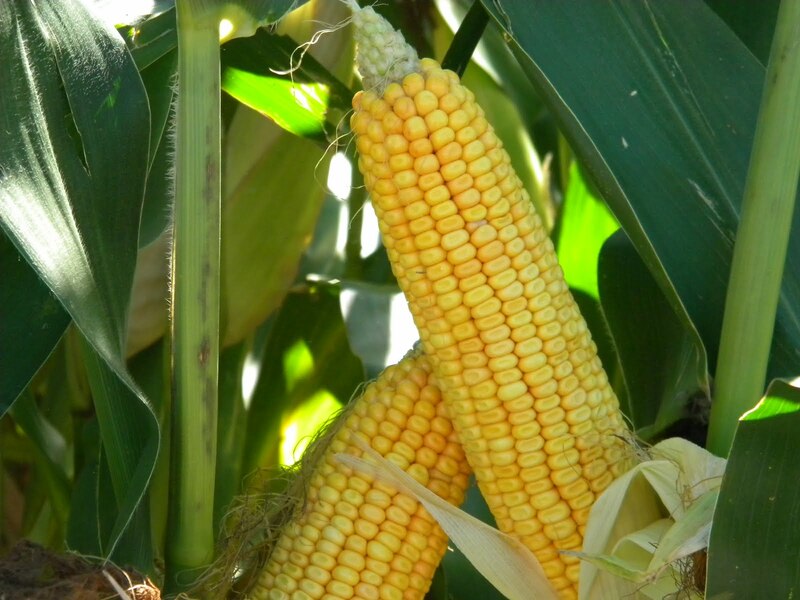 In an early field test and analysis* of Litterade treated bedding vs. untreated bedding, nitrogen content was increased by 138% while in-house NH3 (Ammonia) was reduced by 16%. Additional trials are underway. 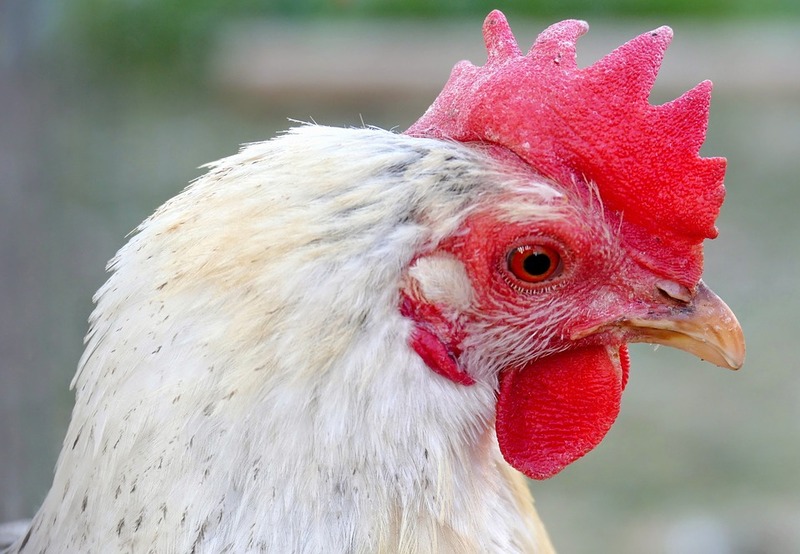 Turn your poultry waste into profit. Contact us today for more details; immediate delivery is available. 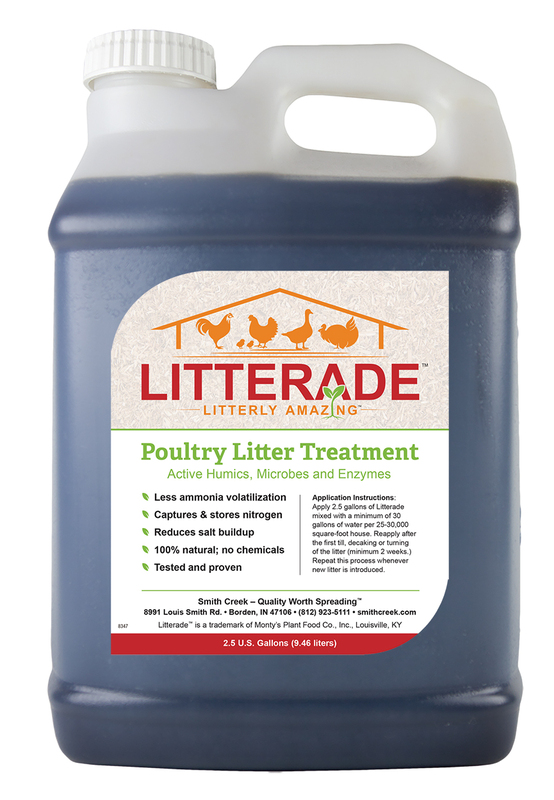 Apply 2.5 gallons of Litterade mixed with a minimum of 30 gallons of water per 25-30,000 square-foot house. Reapply after the first till, de-caking or turning of the litter (minimum 2 weeks.) Repeat this process whenever new litter is introduced. 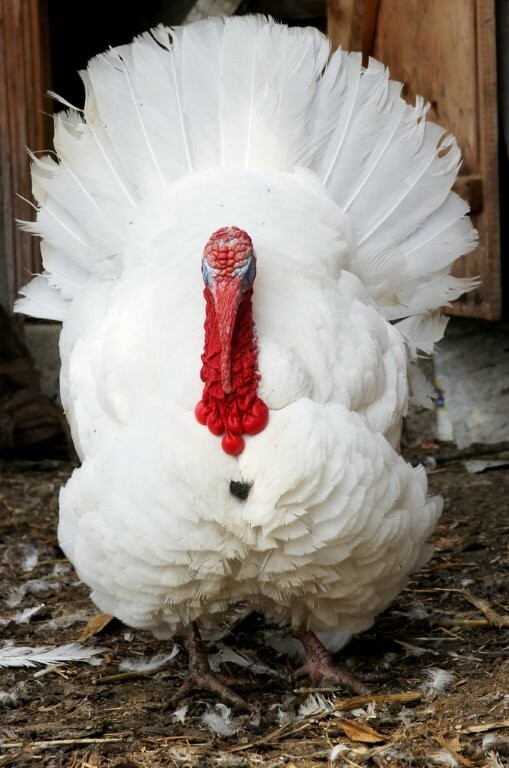 *Turkey grow-out manure after 1 flock and 108 days from start to finish in the building. Longer house times will increase values proportionally. Improves birds’ living conditions by reducing ammonia volatilization, salt, and associated respiratory stress. Contains humic substances, microbes, enzymes and NO CHEMICALS. Creates a highly marketable, and profitable, nitrogen-rich litter. Is cost effective: 2.5 gallons treats on 25,000-30,000 square-foot house. Is developed by the bedding, composting, and mulch expert Smith Creek in partnership with Monty’s Plant Food Co., a leader in natural agronomic products. Litteraid™ contains microbes and enzymes and is most effective if used within one (1) year from date of purchase. STORAGE AND HANDLING. Keep container closed when not in use. Do not store in direct sunlight. Do not exceed 100°. Do not allow to freeze. This product contains organic materials which may settle and shold be agitated before application if stored or allowed to freeze. Refer to the SDS for other safety and handling information. LIMITED WARRANTY. Smith Creek warrants that this product meets its manufacturing specifications. If it does not, Smith Creek will, at its option, replace the product or refund the purchase price. In no event, shall Smith Creek be liable for special, incidental or consequential damages or for damages in the nature of penalties. Smith Creek shall not be liable in any way for claims resulting from any use of this product which is not in strict accordance with all directions, cautions and warnings on the label or labels. Ingredients: Lactobacillus culture, Saccharomyces culture, Phytase enzymes, Lipase enzymes, Amylase enzymes, Superoxide Dismutase enzymes, Protease enzymes, Molybdenu, Organic Carbon, Humic Acid, Water.